(HealthDay)—All children and adolescents are advised to undergo annual influenza immunization, ideally with an inactivated influenza vaccine, according to a policy statement published online Sept. 3 in Pediatrics. Yvonne A. Maldonado, M.D., from the American Academy of Pediatrics Committee on Infectious Diseases, and colleagues updated recommendations for the routine use of influenza vaccine and antiviral medications for children. The authors note that highlights for the upcoming 2018 to 2019 season include recommendations for annual influenza immunization for all children and adolescents age 6 months and older. An inactivated influenza vaccine, trivalent or quadrivalent, is recommended as the primary choice in children; during past influenza seasons, the effectiveness of a live attenuated influenza vaccine against influenza A(H1N1) was inferior. For children who would not otherwise receive an influenza vaccine or for whom it is appropriate because of age and health status, a live attenuated vaccine may be used. All 2018 to 2019 seasonal influenza vaccines contain an influenza A(H1N1) vaccine strain that is similar to that included in the 2017 to 2018 vaccine, while the influenza A(H3N2) and influenza B (Victoria lineage) vaccine strains differ. Children with an egg allergy can receive influenza vaccine without additional precautions. 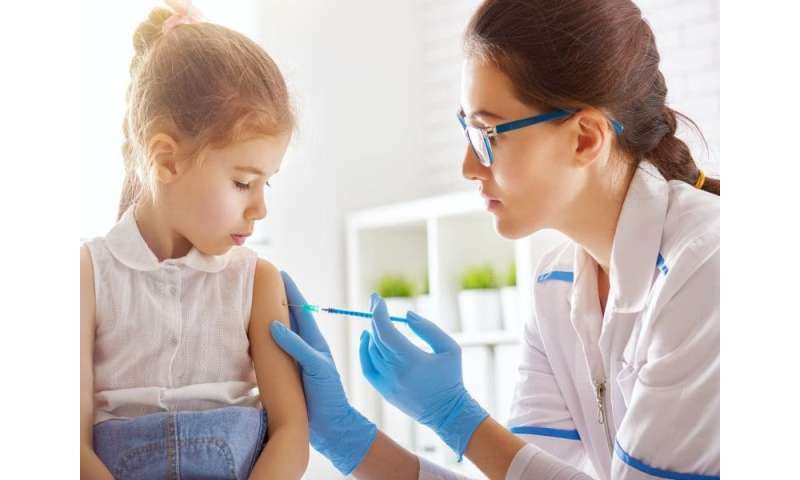 "We urge parents to talk with their pediatricians now to avoid any delay in getting their children vaccinated," Henry Bernstein, M.D., ex-officio member of the AAP Committee on Infectious Diseases, said in a statement.